This new photo from the set of Mission: Impossible 6 makes us want to dive right into our classic Hollywood collection. Director Chris McQuarrie trying to capture the essence of Henry's character, with the big question being... is he really the M:I6 villain? All clues point to yes, including that seemingly unstoppable moustache. We won't have to wait long to find out what its intentions are, with the release of Mission: Impossible 6 now just over 6 months away (July 27). He's so focused! Love the passion and commitment he gives to everything. Very inspiring. UPDATE 1/22: Another look from the M:I6 set! He really does have have the classic good looks of the old time movie stars. 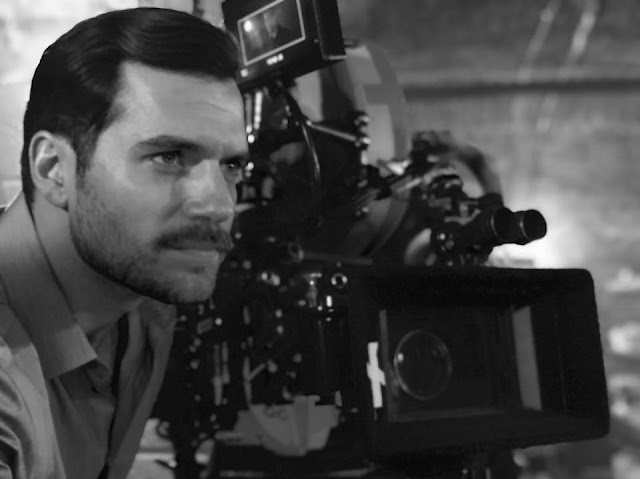 Even though Henry is nothing of a villain himself it will be good to see him in a totally different role. I don't think he has ever played a bad guy has he? Either way I'm certainly looking forward to it. Photographers, cinemtographers, directors, etc must love working with that bone structure. Never a bad angle. I would like to see Henry in all next MI6.